North Hendren Cooperative Dairy, in Willard, Wisconsin, wants to survive. But six years from its 100th birthday, the specialty cheesemaking enterprise located in Clark County between Marshfield and Eau Claire, is experiencing a great struggle. Founded in 1923, the co-op is made up of 24 small, local dairy farmers who, in 2002, converted their operation to a private label artisan cheese endeavor focused on Blue cheese. In 2016, North Hendren produced 2.2 million pounds of award-winning Blue and Gorgonzola cheeses in 7-pound wheels. But now the rug has been pulled out from under the co-op, and its cheeses, formerly sold under the Black River label, have been replaced in the supply chain. 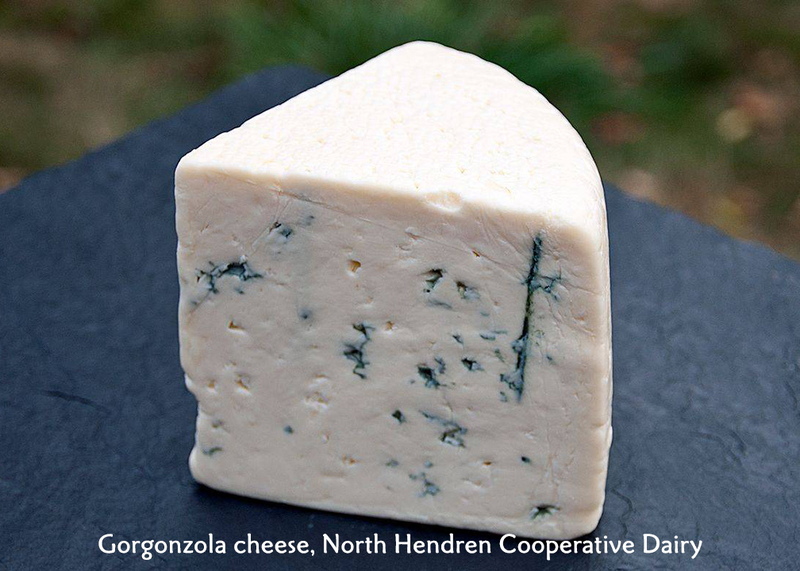 Enter the discriminating Wisconsin cheese consumer – you – who can help this business survive by purchasing the North Hendren Smoked Blue, North Hendren Gorgonzola (aged minimum 90 days), and its “yellow blue,” Rumena Modra, at Fromagination…and elsewhere. See more information below about North Hendren Cooperative Dairy, and considering purchasing your Blue cheese from them this year. As the co-op’s cheesemaker Mike – making cheese since he was 13 – says…they just need to make it until January. Call our shop – 608-255-2430 – for more information about North Hendren Co-op Dairy products.